Tapas means “heat,” specifically the karma-burning effect that is generated when we do a lot of spiritual practice. 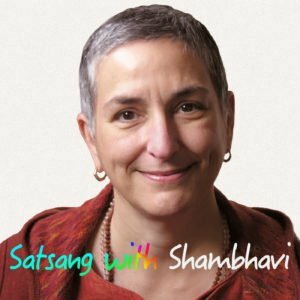 Shambhavi riffs on what tapas looks like for contemporary people in the U.S. A podcast from Satsang with Shambhavi. Tapas means “heat” in Sanskrit. There’s this concept of burning Karma. The metaphor of burning Karma is related to effort. Anandamayi Ma said, “ You can either melt Karma with devotion, or burn it with effort.” Certainly, I think every practitioner who sticks around through this process does both of those things. Ma says that when you are more realized, you reach the time when there’s nothing to burn and nothing to melt. When all of that karma has cleared up the experiences cool. It’s more like moonlight, not like fire. So, really what we’re looking for, in the end, is an experience of cooling and sweetness. More like moon. But sometimes we have to go through heat to get there. In the the spiritual traditions of India, Tapas is usually associated with some kind of great or extraordinary effort that one makes in doing sadhana. You’ll see pictures or hear stories of what are called great tapasyas. Those are people who have undertaken very difficult spiritual practices over a long periods of time. And such people are looked up to, by and large, in Indian culture. These are people who never sit down, or keep their arms raised like this, or live in extreme conditions, or undertake extreme dietary restrictions, things like that.